The day is headlined by Winx running her last race in the Queen Elizabeth Stakes. There are three other Group 1 races, headlined by the time-honoured Sydney Cup and Australian Oaks, and every other race is at listed level. 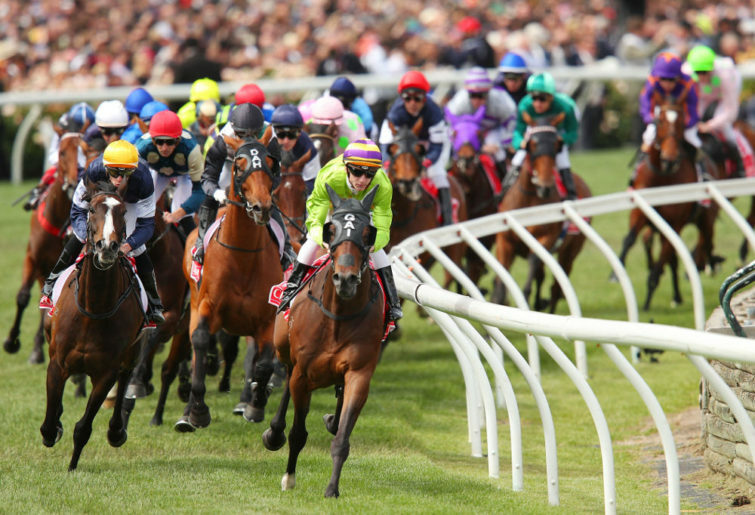 The rail is out three metres for the entire circuit and we have an improving track that should be around a soft five. Let’s get into it. We kick off the day with the Fernhill Handicap, over the mile at the listed level for the two-year-olds. It’s a pretty open race here, but I’m going for some value in the form of Significance. He’s obviously well bred by Frankel and out of Aqua Bella, and his debut run was pretty impressive. He did a lot wrong, but really knuckled down late for a fast-finishing fourth and his trial in the lead up this race was brilliant. He draws well in barrier six in a race devoid of speed, so he’ll sit fourth or fifth and have plenty to give rising to the mile. Amercement is a big danger, but she’s been well found in the market. She came home really nicely in the Magic Night behind eventual Golden Slipper winner Kiamichi, but barrier one isn’t ideal for her racing style and her trial leading into this wasn’t great. Vinco ran on strongly in the Magic Millions at Morphettville, before rocketing home to win the Mornington Sires last start. He is improving with racing and will be hitting the line strongly. Recommended bet: Each way play on #8 Significance. The South Pacific Stakes at the listed level for the three-year-olds over 1400 metres is the second on the program. I’ll be backing two in this race, but Green Aeon goes on top. He’s been brilliant in his first two starts, winning a maiden at Warwick Farm by two lengths and then beating Agassi by three lengths in a Benchmark 70 last start. There doesn’t look to be an abundance of speed in this race, so Kerrin McEvoy should be able to dictate the speed and he’ll be hard to run down. Tahitian Dancer is worth saving on. She ran within three lengths of Mystic Journey last preparation, along with running two lengths behind Pohutukawa and she resumed very well at Mornington, beating Music Bay, who won by four lengths at Sandown on Wednesday. She maps well to get a nice run on the speed from barrier seven, and she’ll give a big sight. Gem Song is another at odds who can run well. He resumed well, beating Purple Sector at group three level, before struggling on a heavy track last start. He can improve with a better surface. Recommended bet: I’m happy to back #11 Green Aeon and #9 Tahitian Dancer on an each way basis. The much-anticipated Provincial Championship is the third on the card, over 1400 metres. With an improving track, I’m pretty keen on Safado. He came home well over 1250 metres three starts back at Canterbury behind Charlayne, before putting in one of the better finishes you’ll see in the Hawkesbury qualifier. He didn’t handle the heavy track last start, but he got back on a good track in his trial leading up to this and won that under a tight hold. He’ll appreciate the hot speed on up front and hopefully be running over them late. I’ve always been a fan of Evalina, and I think she can run a bold race. She won well at Kensington two starts back, before finishing off nicely behind Golden Tycoon in the Newcastle qualifier. She’ll get back from the wide gate and be running on strongly. Archedemus has done nothing wrong, winning his last five, including a win over Star of The Seas two starts back. He’ll get a nice spot just behind the speed and have the first crack at them in the straight. Recommended bet: Each way bet on #6 Safado. The first group race on the program comes here in the fourth, with it being the Percy Skyes Stakes over 1400 metres for the two-year-old fillies. I’m prepared to take the $8 on offer for Flit. I’ve really liked her since her debut at Bendigo, where she was luckless behind Cheer Leader, who is a $4.50 chance here. She then came out and won at the Group 3 level down the straight last start, and she was absolutely bolting under a tight hold in a trial at Rosehill in the lead up to this. She’ll appreciate a hot speed up front and will be storming home late. The other Godolphin runner in Pin Sec looks like a big danger. She was excellent when winning the Black Opal at Canberra by four lengths, before not handling the heavy track in the Golden Slipper. She’ll go back and be another one running on. Cheer Leader is another with a fair chance. She was unlucky down the straight two starts back when she won a protest to finish second, and she absolutely destroyed them at the listed level at the Valley last start. She’ll get a nice run on the speed and could prove hard to run down. Recommended bet: Each way play on #4 Flit. 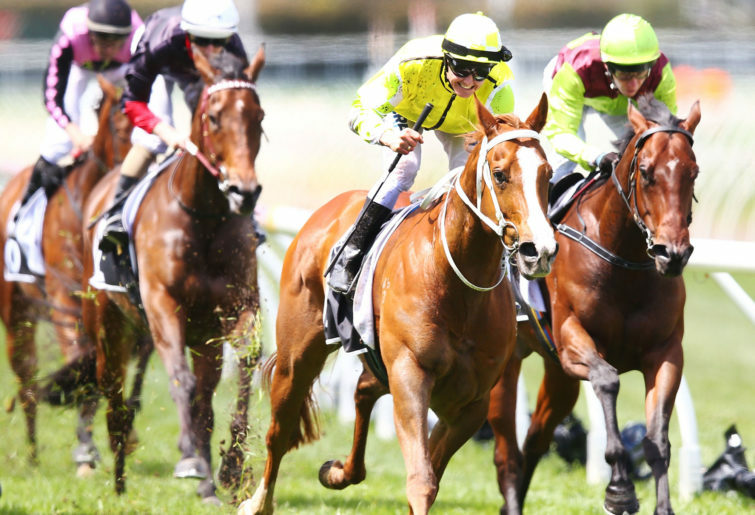 The Arrowfield three-year-old sprint is the fifth race on the card, at the Group 2 level over 1200 metres. I want to be on the backmarkers here due to the hot speed on up front. I like two of them, both at a price, but Trope goes on top. He’s only had the two starts, so he should be improving with racing, and he’s got brilliant form lines. He beat Got Your Six on debut, who has form lines tied in with the favourite, and he rattled home to finish half a length off Prophet’s Thumb in the last start over 1100 metres. He’ll go back and get a nice run behind a hot speed and appreciate the rise to 1200 metres today. I’ll be backing Zousain as well. He hasn’t been the punters’ best friend in recent times, but his form lines are still very good for this. He finished within a length of Sunlight in the Coolmore last preparation, and it took a very good horse in Terbium to beat him resuming. He should be peaking third up, and he’ll be another one running on strongly. Classique Legend is a chance. He’s got brilliant natural ability, and he was unlucky not to win last start, but I think he’s too short at the $4 quote. Recommended bet: Each way plays on #1 Zousain and #10 Trope. The first Group 1 on the program has arrived, with the time-honoured Australian Oaks over 2400 metres for the three-year-old fillies. I’m happy to take the each way odds on offer for Frankely Awesome. Admittedly, the odds-on pop in Verry Elleegant will be hard to beat, but the place odds on offer for Frankely Awesome is paying more than she is for the win, which is silly. They’re clearly the two top picks in this race, and I thought Frankely Awesome made ground on the favourite during the last start in the Vinery Stud. With a drying track, I think it’ll suit her better as well. Outside of those two, Scarlet Dream looks like the best outsider. She flew home with Frankely Awesome in the Kembla Grange Classic, before not handling the heavy track last start. She can redeem herself with an improving track. Recommended bet: Each way bet on #3 Frankely Awesome, with more on the place. The feature of the program and one of the biggest races in Australia’s history is the Queen Elizabeth Stakes, at Group 1 level over 2000 metres. The great mare Winx takes the track for the very last time, in what will be a brilliant moment, and she’ll just win like she always does. She’s beaten these horses before, and it’s incredibly hard to see her not doing it again. Emotions will be running high at Randwick. For anyone taking exotics, I have Kluger as my second pick at good odds. He’s been running three and four lengths behind them in group races in Japan, and his first run in Australia was brilliant, flashing home for fourth in the Doncaster last week. There should be a good speed put on by the leaders in front, and he can definitely run into the placings. Happy Clapper and Hartnell have both been Winx bridesmaids in the last few years, and it could very well happen again here. Recommended bet: Think $5 is pretty good value for the place on Kluger, so I’ll be going that way. The other headline act of the day comes here in the eighth race, with it being the Sydney Cup over two miles, obviously at Group 1 level. Dubhe looks a very good bet here. As long as he’s settled into the Australian climate, he’s just the best horse in the race. He was outsprinted at Meydan two starts back over 2400 metres, but he was brilliant last start stepping up to the two miles, where he beat Red Galileo who has form lines tied in with the Melbourne Cup winner in Cross Counter. That’s a brilliant form line for this, and he draws well in barrier four. Kerrin McEvoy takes the ride, and he’ll be hard to beat. Sound does look over the odds here. He finished within half a length of Best Solution before coming to Australia, where he had no luck, running wide in both the Caulfield and Melbourne Cups. He had a much-improved outing in the Tancred behind Avilius last start, and he should be peaking here third up. Yogi won the Sandown Cup over two miles last prep, in what was an impressive victory, and his last two runs in the Australian Cup and the Tancred Stakes have been good trials for this. He’ll get back and be winding up strongly late. Recommended bet: Sizeable win bet on #10 Dubhe, with a saver on #2 Sound. The last of the Group 1s comes here in the ninth, with the Coolmore Legacy Stakes for the fillies and mares over 1600 metres. Think it’s a race in two here, which isn’t what the market says, but I’ve got Amphitrite on top. She won the Thousand Guineas in the spring before beating Veery Elleegant resuming in the Vanity Stakes. I think they rode her upside down in the Australian Guineas, which is something the Hayes team has since confirmed, and nothing went right in the All-Star Mile, where she got shuffled back at the start and was then crowded for room in the straight. They’ll ride her quiet, and hopefully she can show her devastating turn of foot late. Alizee is the big danger. She beat Amphitrite home in the All-Star mile, all but having a much better run, before not handling the track in the Doncaster. She won this race last year, and with an improving track, she can get back to her best. Nakeeta Jane draws the car park, which is a concern, but she ran within a length of The Autumn Sun over this trip two starts back, before not seeing out the trip in the Vinery Stud. She comes back to the mile here, and with any luck from the wide gate, she can be in the finish. Recommended bet: Each way bet on #16 Amphitrite. The last race of the Autumn Championships comes here in the Sapphire Stakes for the fillies and mares over 1200 metres. My best of the day comes here in the form of Resin. I can’t believe this mare has opened up at a double-figure quote. She ran really well resuming, getting nailed practically on the line against Winter Bride. She was incredibly unlucky not to win last start in the Birthday Card Stakes when she was posted three wide without cover, and still managed to finish within a length of Avantage. She’s undefeated from two tries third up, and she draws better from gate seven today. She’ll be very hard to hold out. Spright has to be one of the main dangers. It’s been a while since she won a race now, but she flashed home behind Winter Bride two starts back and then finished within a length of Sunlight in a Group 1 last start. She’ll go back like usual and will be winding up late. Star Reflection at big odds can run well. She closed off strongly behind Resin in her last two starts, and she’ll appreciate the hot speed they’ll put on up front. Don’t dismiss her. Recommended bet: Sizeable each way play on #10 Resin. Race 2 #9 Tahitian Dancer.